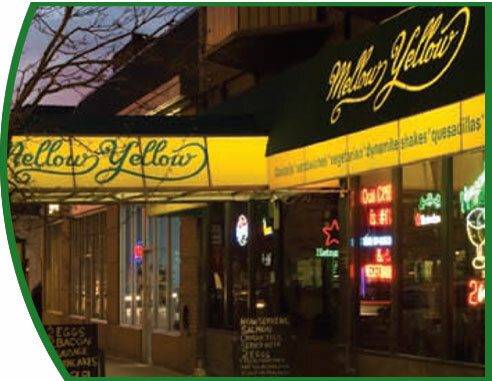 Mellow Yellow has been a Hyde Park fixture since its opening in 1976. Ken Pelletier, owner of this vintage eatery, dreamed of capturing the style of Yellow Fingers Restaurant in New York City.His daughters wrote a letter to singer/songwriterDonovan with the request to use the song title Mellow Yellow for the name of the restaurant, to which he agreed, at no charge. The restaurant was opened with a simple, but popular menu of only crêpes. In the early 1980’s, the menu broadened, toserve not only breakfast, but lunch and dinner to appeal to a wider audience. Tothis day, Mellow Yellow still specializes in 70’s flair: quiche, Crêpes, veggie burgers, and baked potato meals. 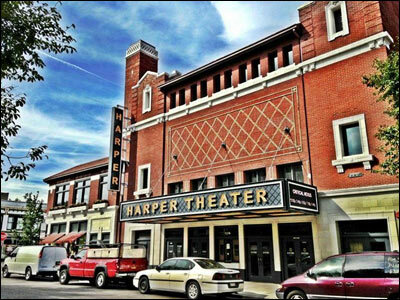 Parking is available on the street, at the Hyde Park Place parking lot, and the parking lot on Harper Ave across the street from the Hyatt Hotel. 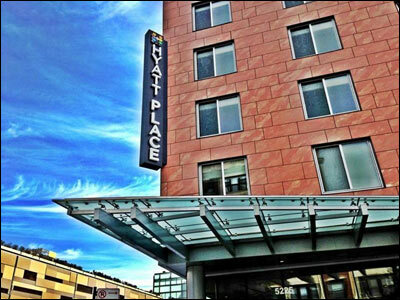 Mellow Yellow Restaurant would like to welcome The Hyatt Place Hotel to the neighborhood! For guests staying at the Hyatt Place, bring in your room key & receive a discount on your meal! See your server for details! Beverages & alcoholic beverages & other specials or promotions excluded.